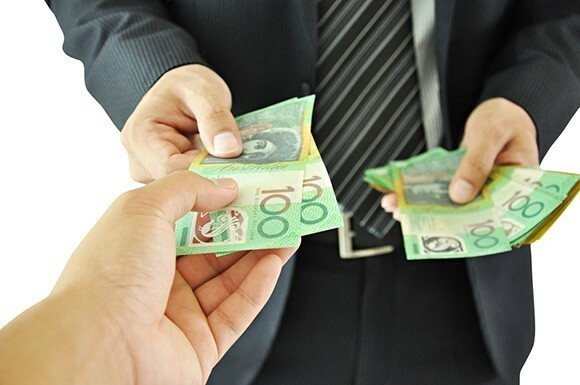 Cash-in-hand jobs are a serious concern with an informal economy equivalent to as much as 15 per cent of Australia’s GDP, writes Shirley Jackson, PhD candidate in Political Economy, University of Melbourne, in this article first published in The Conversation. Young people, job creation and taxation have all been at the centre of the federal election campaign; yet almost nothing has been said about one of the sleeper issues these have in common – the cash-in-hand economy. Youth unemployment is typically twice the national unemployment rate. Millennials are finding it harder to secure full-time work after leaving university. Shockingly, Australians aged 15 to 24 are at the highest risk of hospitalisation following a workplace accident. However, there is another risk young people face that we know surprisingly little about. “Cash-in-hand” is a familiar phrase in our economy. Like most shady dealings, it goes by many names: unreported employment, the informal economy, or a grey labour market. Whatever we call it, it is used to circumvent Australian workplace and taxation legislation. This should not be confused with being paid in cash. For example, let’s say an employer wanted to reduce their expenditure on transaction fees. They could add up an employee’s hours, calculate wages for the week minus tax, superannuation and other deductions. The adjusted wages could then be paid straight from the till, accompanied by a payslip. The tell tale signs of a “cash-in-hand” job are a lack of formal employment paperwork, such as signed contracts, weekly payslips or a group certificate at tax time. There are obvious downsides. These jobs are unlikely to pay the correct minimum wage, penalty rates, or super contributions. A greater concern is these jobs aren’t covered by workers compensation. Considering the previously mentioned risk of hospitalisation, cash-in-hand jobs become a serious concern. The most concerning aspect is that so little data is being collected about these jobs. A 2012 survey found that one in four young workers had recently done cash-in-hand work. While no concrete data exists on where these jobs are being offered, we can make some educated guesses. The figure above was created by selecting the top five jobs where the average age of employees was between 15 and 21. This gives us the most common industries for young Australians: fast food, hospitality, and retail. If we look at the orange portion of Figure 2, we can see that 29 per cent of young Australians are combining work and study. This is especially relevant when we consider Student Visas, Youth Allowance and Austudy payments. We know that approximately 899,000 young people are both working and studying. However, 229,900 are receiving study payments, at a maximum rate of $216.60 per week with the ability to earn an additional $216.50. This puts the maximum payment as $433.10 – just over $30 above the poverty line. Let’s use some hypothetical examples, and say that “Julie” and “Ravi” are two of these student workers. Julie is 18 and works casually at a local cafe in Brunswick while studying at the University of Melbourne. To maximise her earnings, she works 13 hours during the week at $16.61 an hour. This gives her $215.80, combined with her Austudy payments for a total of $432.40 per week. She shares a three bedroom house in Brunswick and pays $200 a week in rent. Her average weekly expenses are $104 on food, $10 for her mobile phone, $19.50 on her public transport, and $34 a week on utilities. This leaves her $64 per week for other expenses. Ravi is a 21 year old international student. He is studying for his Masters at Deakin University and works at a supermarket in Burwood, near the house he and his brother share. His rent and expenses are comparable, but he cannot receive Austudy. His visa states that he can only work 20 hours a week, giving him a maximum income of $459.64 after tax. After accounting for expenditure, Ravi is a little better off with $92.13 to cover other expenses. Neither example accounts for business cycle / seasonal demands, parental income affecting payments, unexpected expenses, legal fees, health costs, or textbooks. Basic living costs account for 80 to 87 per cent of their entire wage. If either student faces costs that can’t be met by their usual wages, they may consider “cash-in-hand” work the only viable alternative. Julie will still get her Centrelink payments, and Ravi won’t breach his visa requirements. The risks of this informal economy extend well beyond young workers. Professor Christopher Bajada estimates that cash-in-hand jobs make up a informal economy equivalent to 15 per cent of Australia’s GDP. Similarly, in 2004 the government estimated the informal economy between 3 and 15 per cent. Even if we take the lowest estimate of 3 per cent of GDP, that’s approximately A$48.6 billion outside our economy. A 2012 comprehensive report produced by The Australia Institute estimates a staggering $3.3 billion of revenue is being lost to cash-in-hand working arrangements. Given that taxation, debt and public spending have become key election battlegrounds, this lost revenue is potentially game changing. 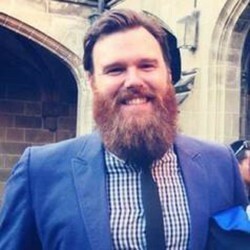 About the author: Shirley Jackson is a PhD candidate at the University of Melbourne, where he researches the experience of youth labour market transitions, the effects of risk, and the efficacy of active labour market policy in comparative social policy regimes. His publication history includes The Guardian, New Matilda, Overland Journal, and The Conversation. Since 2014, he has been involved in teaching a number of courses at the University of Melbourne and Victoria University, guest lecturing in Political Economy, Australian Politics, and Youth Work.